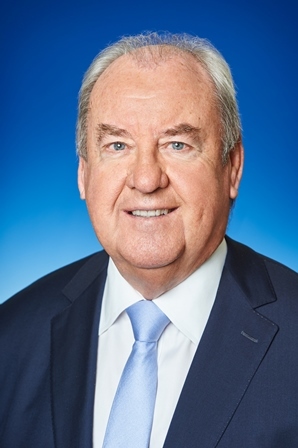 Elected to the Thirty-Seventh Parliament for South Perth on 26 February 2005 in succession to Hon Phillip George Pendal (retired). Re-elected 2008, 2013, 2017. Government Whip of the Legislative Assembly from 23 September 2008 to 7 July 2011. Parliamentary Secretary to the Premier: Minister for State Development from 8 July 2011 to 21 March 2013. Parliamentary Secretary to the Premier; Minister for State Development; Science from 21 March 2013 to 31 March 2016. Parliamentary Secretary to the Premier; Minister for Tourism; Science from 31 March 2016 to 17 March 2017. Opposition Spokesperson on Seniors; Racing and Gaming; Liquor Licensing from 20 March 2005 to 4 February 2006. Shadow Minister for Road Safety; Seniors; Racing and Gaming; Liquor Licensing from 4 February 2006 to 8 April 2006. Shadow Minister for Road Safety; Racing and Gaming; Liquor Licensing from 8 April 2006 to 25 January 2008. Shadow Minister for Road Safety; Racing and Gaming; Housing and Works from 25 January 2008 to 20 June 2008. Shadow Minister for Racing and Gaming; Housing and Works from 20 June 2008 to 8 August 2008. Shadow Minister for Racing and Gaming; Sport and Recreation from 25 March 2017. Member, Economics and Industry Standing Committee from 13 November 2008 to 24 March 2011. Member, Joint Standing Committee on the Review of the Racing and Wagering Western Australia Acts from 24 September 2009 to 21 October 2010. (Chair from 24 September 2009 to 21 October 2010). Member, Joint Select Committee on End of Life Choices from 23 August 2017 to 23 August 2018. Member, Parliamentary Services Committee from 7 April 2005 to 7 August 2008. Member, Parliamentary Services Committee from 9 May 2013 to 30 January 2017. Born 17 June 1947, Fremantle, Western Australia. The electorate of South Perth is located in the South Metropolitan Region and includes all or parts of the City of South Perth and the Town of Victoria Park. Comprising of all or parts of the localities of Como, Karawara, Kensington, Manning, Salter Point, South Perth, Victoria Park, and Waterford. Enrolment (9 March 2015) 28,477; area 28 sq kms.